Although easily overlooked, every restaurant has a mission and while they all may be similar, the tiny details of effort that are displayed through the owners and employees are what determines the successfulness of a restaurant. Club 609 was designed with you in mind. Not only does Club 609 make it obvious that their love for food and creativity is great, but they also display livelihood through their art, and a full-service bar. If you follow Club 609 on social media, then you know that every single day of the week features a new special. Always pushing the bridge of modern twists on unique classics, Club 609 shows the love for their menu and ultimately to their customer, through their hard work and dedication in the kitchen. Comprising a new featured dish every day can become challenging, but Club 609 is proud of their ability to constantly please customers on a daily basis, making them the best restaurant in Joplin, MO. One thing that you can’t miss is the beautiful artwork displayed on the brick walls within Club 609’s restaurant. To support the community of Joplin, MO, Club 609 is constantly looking to showcase new paintings, pictures, and other artwork created by locals. This not only offers Joplin artists to be seen, but also gives Club 609 the opportunity to create customer conversation and a differentiation factor among the atmosphere itself. Besides the amazing food, Club 609 was designed with nightlife in mind. Downtown Joplin is a place of opportunity and excitement. In order to accommodate this fast-paced style that is presented through the streets of Joplin, Club 609 made it a mission to be a place where friends and family could gather while enjoying a wide variety of beverages. Setting a new standard for downtown nightlife, Club 609 has been the hot spot for years. Are you looking for your new favorite restaurant in Joplin, MO?  Club 609 is no ordinary bar, but a place where the community can get to know one another while enjoying the atmosphere and amazing food. To see a full menu, visit us at www.club609.com or give us a call at (417) 623-6090.